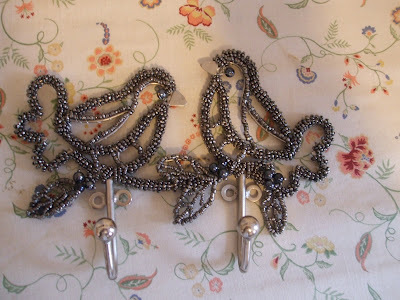 I bought these love birds hooks when I went to Anthropologie. I think they're like Raf and me. :) I'm not sure where I'll hang them yet. 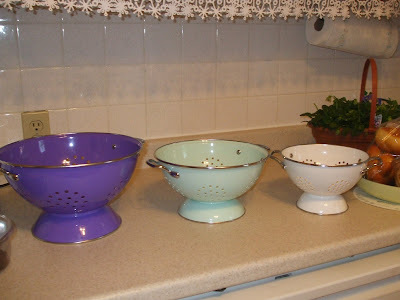 I love these colorful colanders! How do you do, you'll have to look at my blog sympathy.